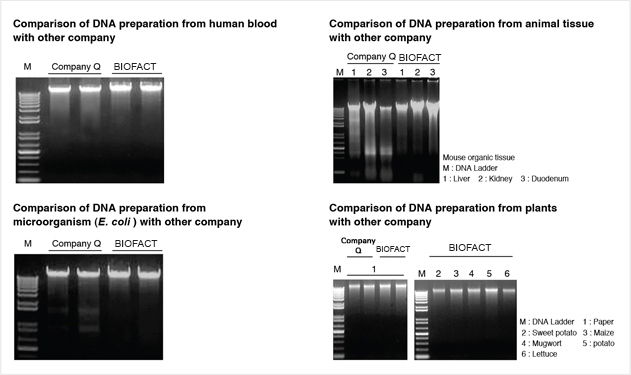 BioFact™ Genomic DNA Prep Kit has been upgraded to ver 2.0. Through this upgrade, yield has been higher and the step has been reduced than previous version. In addition, simple preparatation can be available through easier protocol than previous kit. BioFact™ Genomic DNA Prep Kit (Ver.2.0) is designed to isolate the genomic DNA using glass microfiber membrane as a spin column type. The kit provides pure and high quality genomic DNA purification system by removing PCR inhibition substances such as divalent cations and proteins. 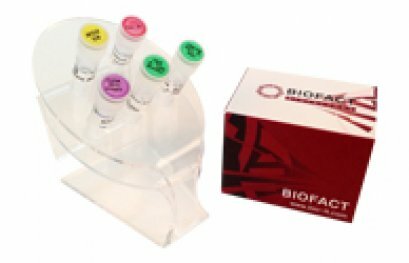 BioFact™ Genomic DNA Prep Kit (Ver.2.0) is using convenient method for the isolation of pure genomic DNA directly from various samples including blood, bacteria, plants and etc. It completely avoids the use of toxic and hazardous reagents such as phenol and chloroform. 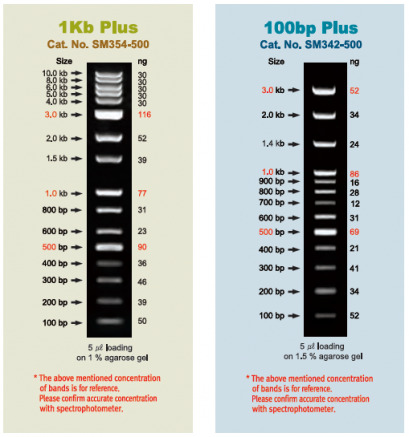 BioFact™ S-Taq DNA Polymerase, one of the most useful in general PCR, is a thermostable DNA polymerase from Thermus aquaticus that possesses 5' to 3' polymerase activity through the unique BioFact’s high purification process.